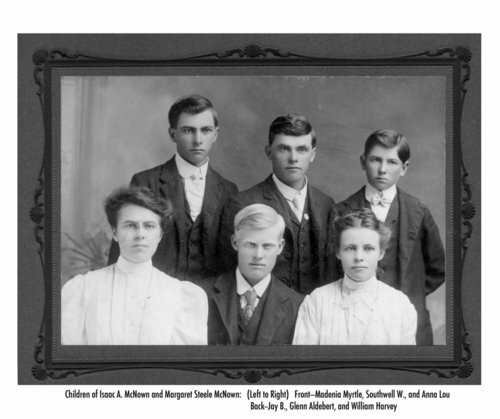 This is a photograph of Isaac Aldebert McNown and Margaret Steele McNown's children. They are identified as front row (left to right) Madenia Myrtle, Southwell W., and Anna Lou, back row, Jay B., Glenn Aldebert, and William Harvey. The family lived on a large farm southeast of Wichita, Kansas.